Maintaining privacy when buying or selling gold is often a key consideration for precious metal investors. Many investors are unaware that bullion and coin dealers are obligated by law in the United States to submit various transaction reports if certain conditions are triggered by their respective customers. The rules in place for precious metal transactions are easy to follow, and serious gold investors should be encouraged to familiarize with these rules. The reporting requirements for buying gold are in place as part of the wider fight against money laundering. Providing an estimate of how much money is laundered each year is a notoriously difficult task, but the illicit and increasingly sordid source of these funds have increased the responsibility of financial intermediaries to ensure such funds do not enter the broader financial system. The reporting responsibilities when buying gold are clear. All reputable precious metal dealers and brokers are required to file a report to the IRS for all transactions greater than $10,000 in cash or cash equivalents within a 24 hour period. Cash for reporting purposes is defined as a cashier's check, traveler's check, bank draft, or money order with a face value of under $10,000, and all US and foreign denominated physical currency. Purchases made via credit/debit cards, ACH transfers and bank wires are not considered cash purchases and are not subject to reporting requirements. If an investor triggers the reporting requirement, the dealer is obligated by law to submit documentation known as From 8300 to the IRS. From 8300 requires various customer information including the name, address, license, and social security number. Customers are not obligated to disclose some parts of this information, however dealers are still obligated to submit the form regardless. Form 8300 is an important tool in the fight against money laundering, and responsible investors should cooperate with their dealer or broker to increase the resilience of the system. For investors selling gold – the reporting requirements faced by dealers and brokers become more complex depending on the type of precious metal investment being sold. These reporting requirements allow the government to crack down on tax evasion by identifying precious metal sales as and when certain conditions are met. Firstly, investors should familiarize themselves with the types of bullion products which are reportable, and the types of bullion products which are exempt. Reportable products for gold include all bars and rounds with a minimum fineness of 0.995, and in a quantity of 1kg or greater (32.15 troy ounces). Any customer order which meets or exceeds these thresholds require the dealer to submit a 1099-B form to the IRS. Dealers and brokers are also required to file a report if customers sell particular coins in a sufficient quantity to trigger the requirement. The coins affected are the 1 Oz Maple Leaf, Krugerrand, Mexican Onza, and all 90% Silver US coins. Customers must sell 25 or more coins in order to trigger the reporting requirement for the gold coins in questions, and $1000 or more of silver coins. Investors should note that not all coins are affected by the reporting requirements, American Gold Buffalos, American Gold Eagles, and Austrian Gold Philharmonics are all exempt from reporting requirements regardless of the quantity sold. The IRS are interested in these reports in order to ensure people who are selling their gold investments as an income source are paying the relevant taxes. 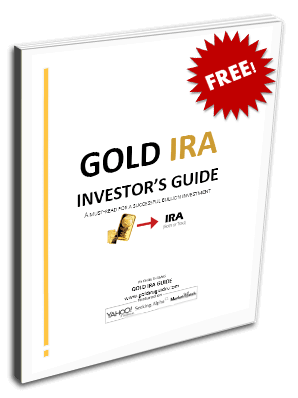 The IRS deems any profit which an investor accrues through the sale of their gold investment as a capital gain, and this gain is subject to the relevant tier of taxation. A more formal definition of precious metal capital gains is the difference between the selling price and buying price of a particular investment. The difference, or profit, between these two values is amount subject to IRS capital gain tax. Capital gains tax is only due when an investment is actually sold. The full tax implications of precious metal investing are beyond the scope of this article and investors should always consult with a tax professional with regards to their gold or silver investments. In summary, investors should be aware of the reporting requirements of precious metal investing in order to ensure they are complying with all national regulations. Reputable brokers and dealers should always be able to offer you advice on all aspects of these regulations.